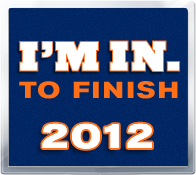 I played the lotto faithfully very year and this year I have a guaranteed entry to the NYC Marathon. Flights are booked. Claimed the bade and now the preparation is starting. The Ironman training will be put on Ice until December and the focus will now shift to running. I really would like to do well in it. Maybe get a PB, that of course will depend on the traffic too. So the focus now the next coming weeks will be on interval training and tempo runs. Also I will race a few half marathons to build up the competitive spirit. Also I need to fix my hydration strategy, can’t have it mess up my time like it did this year in the VCM. Besides the run I am also looking forward to spending time with friends in the states. Ones that I have not seen in years and it is long overdue to be with them. I am hoping to make a little bit of a round trip to see all of them and hope there will be enough quality time with them. This entry was posted in Race and tagged marathon, race, racing, running. Bookmark the permalink.